Winners of the Pickwick Twenty20 national league competition will be nominated to compete in an international Twenty20 Champions Tournament in Warsaw in 2015. 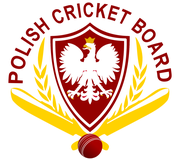 This summer the Poland Cricket Board in conjunction with Warsaw Cricket Club are organising the inaugural Open Polish T20 Club Cricket Cup tournament in Warsaw from 14th to 17th August 2014. The idea for future years is to invite the top three club teams from Poland and three club teams from across europe who are champions/vice-champions in their leagues and Cricket Switzerland has been invited to participate. Cricket Switzerland intend to forward the name of the winner of the 2014 Swiss Pickwick Twenty20 Cricket Competition to participate in 2015. In the event that the winners cannot participate then the runners-up will be nominated. For further information contact Alex Mackay.